Apron Sewing Pattern for Kids from The Apron Lady Designs. Make sure to see all of our Apron Patterns for Kids! 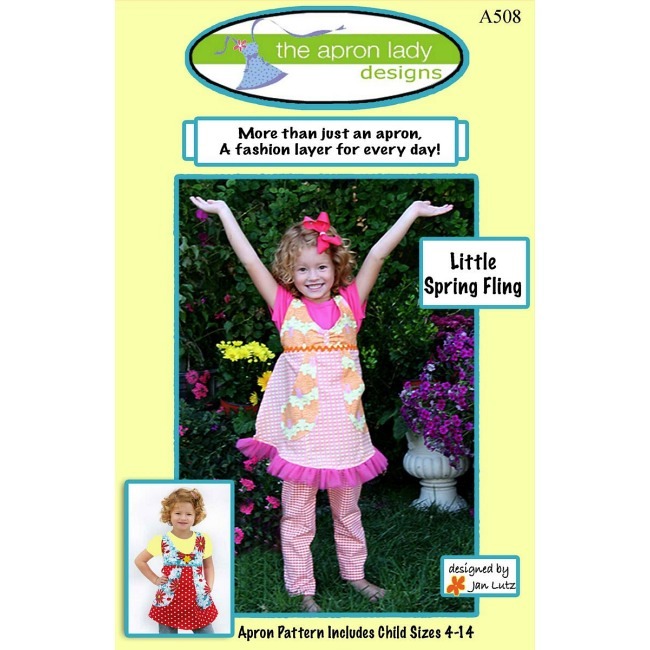 The Little Spring Fling Kid's Apron Pattern from The Apron Lady Designs is more than just an apron! Wear as an apron in the kitchen or as a fun fashion layer with jeans. This is an easy apron pattern, perfect for beginners looking for a simple sewing pattern. Apron pattern includes child sizes: Small (4-6), Medium (8-10), and Large (12-14). Diagrams and complete instructions included. Designed by Jan Lutz. Includes full size pattern pieces.